(Newser) – A married middle school assistant principal has been arrested in the murder of a pregnant teacher with whom he was allegedly carrying on an affair in a case that's shaken Baton Rouge, La. Instructional specialist Lyntell Washington, 40, was seven months pregnant and the single mom to a 3-year-old daughter, reports the Advocate. Washington's body was found badly decomposed in an irrigation ditch last week after her daughter prompted investigators to search for her "sleeping" mother, who she said was "in the lake" after "Mr. Robbie" hurt her. 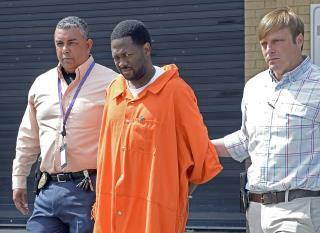 Robert Marks, 39, the assistant principal at Brookstown Middle Magnet School, was originally charged with kidnapping and abandoning Washington's daughter in a parking lot the night of the murder, but he's now charged with murder and infanticide. He has yet to talk. It takes two...somehow you don't hold him responsible? Everything both of them did was wrong. My respect goes to the three year old. I am not trying to be insensitive, but this man was married, and according to her friend, she knew he was married, so why on earth would you get involved with him in the first place and then plan to have a baby with him! This is so sad on so many levels!